Cupcakes, muffins, it’s all the same right? WRONG! Essential differences are a plenty: texture, taste, consistency, toppings, adorableness…but try to explain this to a French person and you’ll fail. It’s simply impossible. We Americans know that, as a child, mother would always make batches of cupcakes for our birthday parties at school, and never muffins. Muffins connoted a sort of breakfast-y healthy item that usually had dried fruit or nuts in them. And honestly what 10 year old would choose that over a tiny cake with Betty Crocker icing? But to a French person, a cupcake is just a muffin with frosting. It’s cakey, it’s in the same shape, so that must be the same thing. This is a cultural difference that needs some time be settled or agreed upon. Sitting down with a good friend who, though born in the US, is fully French, I struggled to explain to her the differences. “Cupcakes are…sweeter, and usually less dense than muffins…” I said. “But you can have a blueberry muffin and a blueberry cupcake? What’s the difference?” she retorted. We opened up a brand new edition of The Joy of Cooking that a friend from the US sent to this French woman. She never opened it. “I just don’t get it,” she confessed. We looked up cakes and cupcakes and muffins and tried to analyze the ingredients and techniques. More butter here, less sugar there, icing here, dried fruits there (usually)…and on and on we went. She continued to be baffled. Instead of talking about it, I told her to come to this weekend’s big event in Paris, Cupcake Camp Paris, hosted by yours truly and Little Miss Cupcake herself. 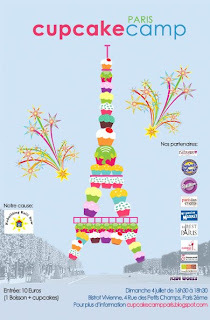 Hopefully it will clear up some of the misconceptions that the French have about cupcakes. On July 4th (yay USA!) we will be welcoming well over 200 people to Bistrot Vivienne in Paris’ classy 2nd arrondissement for some cupcake sharing and consuming. When Little Miss Cupcake, aka Cat Beurnier, asked me to organize the event with her I was thrilled. Sharing this little slice of American culture with the French seemed like a great idea. It’s innocent and fun and delicious, right? The idea is simple. Bake cupcakes, bring cupcakes, share cupcakes. Some bakers have even entered some of the 7 contests that are on deck to spice up the sharing experience, like Most Parisian cupcake, Most American cupcake, and Best Pop Culture Reference cupcake. Fantastic prizes await those who are indeed the best. But in the end, there are cupcakes for all, so we all win! So Sunday it’s on. 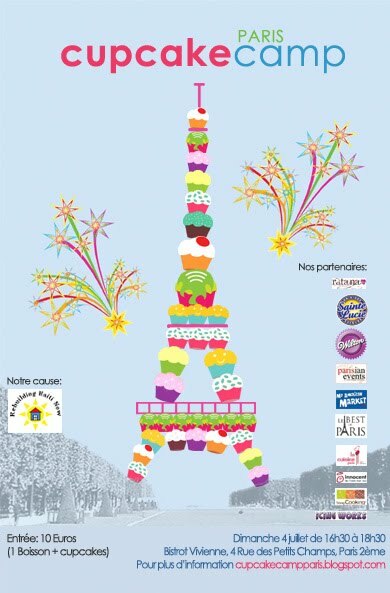 After months of planning we will be welcoming our attendees, our sponsors, our friends, and cupcake enthusiasts across Paris (and beyond) to discover the transatlantic delight that is the cupcake. Get your sugar and mixers ready, because it’s almost time to start baking! 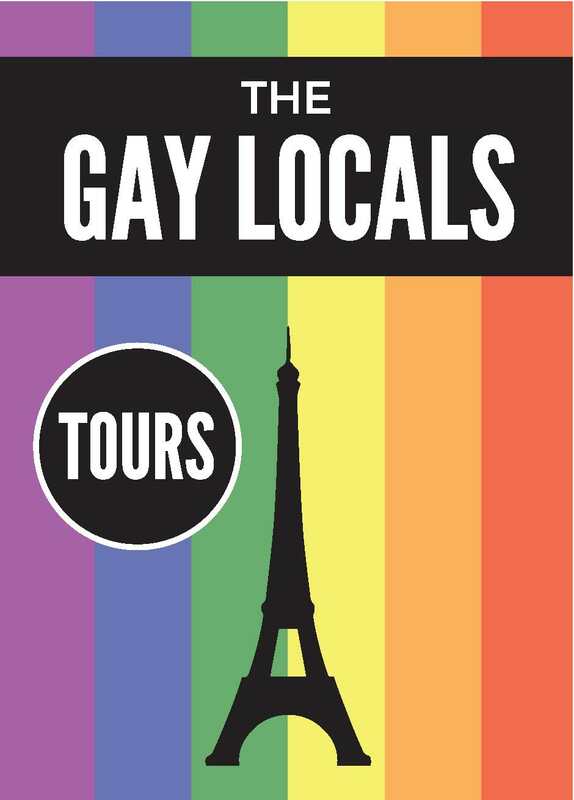 And hopefully afterwards there will be less confusion and even MORE enthusiasm for delectable little cupcakes in the City of Lights.